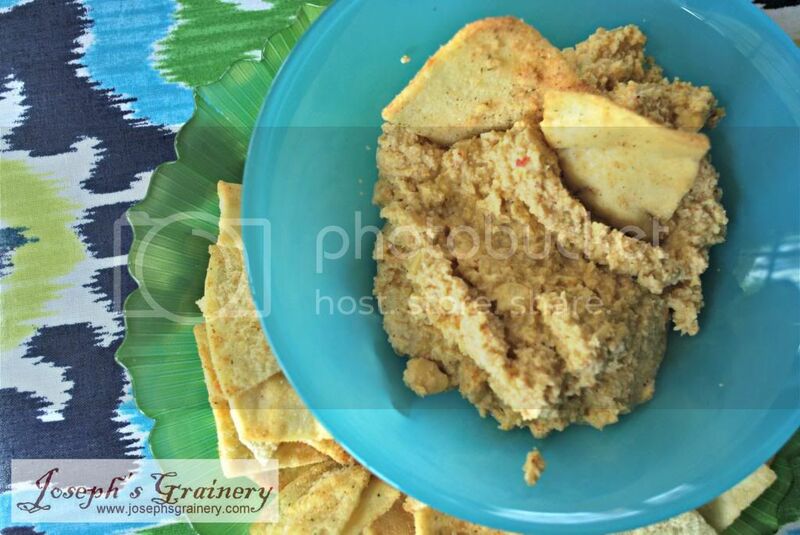 Everybody loves a good, yummy snack that's healthy too and this Roasted Pepper Hummus is just that. Here's a quick (minus soaking the garbanzo beans for 24 hours) recipe that you won't want to miss. A tasty and healthy treat for the whole family. Place the peppers on a rimmed baking sheet and put in the oven on broil. Turn the peppers with tongs often, until they are blistered all over, about 8 minutes. Remove the peppers from the oven, place them in a glass or metal bowl and cover with plastic wrap. Let sit until the peppers are cool enough to handle. Remove the skin of the pepper, then cut away the stem, ribs and toss the seeds. Combine all ingredients into your blender or food processor in the above order. Continue blending until completely smooth. If you feel that the hummus is too thick, you can add 1 tablespoon of water at a time until desired consistency is reached.